Levy Creative Management artist KYUNG SOON PARK illustrates a beautiful piece for Dirt Rag Magazine. 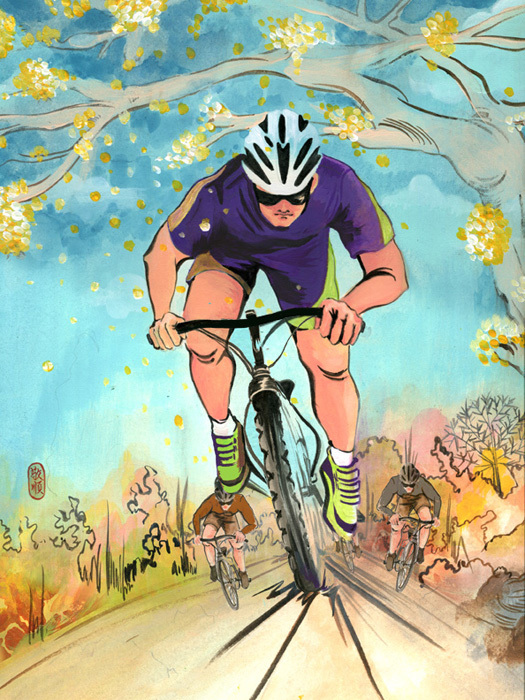 This article was about single speed mountain biking for older rider. Makes you just want to jump on your bike and ride!